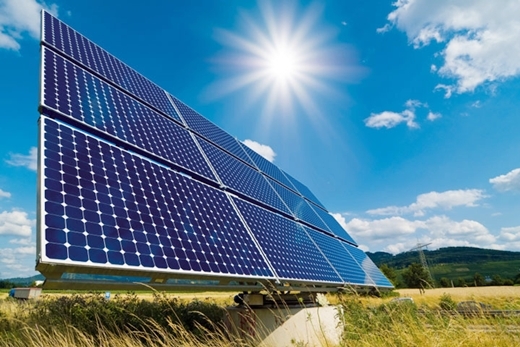 Iran plans to build a new solar power plant in the Zarandieh town of Markazi Province as part of a project mainly funded by a South Korean company. The governor of Zarandieh, Mohammad Qanati, says the project will also involve Iran’s private sector. “Earlier, a delegation from South Korea visited the area in which the power plant is set to be established,” Qanati was quoted as saying in a Farsi report by IRNA. According to Qanati, the solar power plant will be built within the next 15 months with a production capacity of 17mw. The governor said the strategic location of Zarandineh town near the capital Tehran and Imam Khomeini International Airport has made it an appropriate place for investment. “That’s why many domestic and foreign companies are interested in making investment in the town,” he concluded. Zarandieh is home to about 400 big and small production companies. With the recent removal of sanctions, Iranian companies now have greater access to a wider range of increasingly sophisticated solar technologies and financing to purchase and develop them. The immediate benefits will be rapid installation of technologies and, in the long-term, the country is likely to gain the ability of producing a significant amount of its solar infrastructure domestically.